The Tweed Winter Set is a deceptively easy colorwork pattern. It looks complicated, but is actually a cinch to knit! It’s a pattern that any advanced beginner comfortable with knitting and purling can master. Featuring knitting in the round, increasing and decreasing and seaming, it’s a pattern where you’ll learn a handful of foundational knitting skills. Need to master the knit and purl? 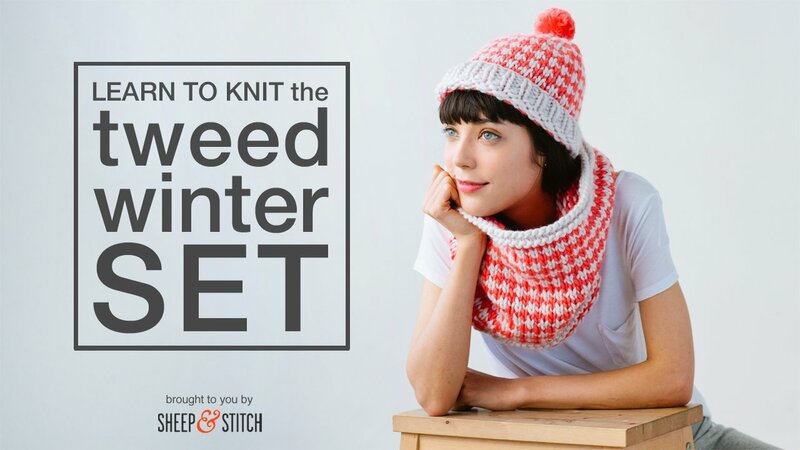 Check out How to Knit and come back when you’re ready! To watch the pattern tutorial, enter the password found on the first page of your pattern. Don’t have the pattern? Head to the shop, grab the pattern and join the fun. See you inside!